On the blog today we have a review for a book that I got as an ARC from Sourcebooks Casablanca, Utterly Charming by Kristine Grayson. 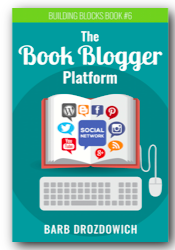 This was a totally delightful book – much different from my usual read! I’m not a fan of paranormal, but this book was my sort of paranormal. It was a modern take off on Sleeping Beauty complete with a sleeping girl, witches and an evil stepmother. 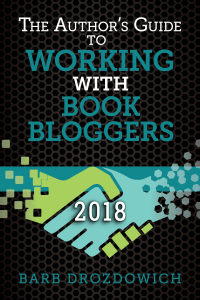 I’m giving away my copy of this book, so if it sounds like something you would be interested in, make sure you fill out the form at the end to be entered. Welcome to the fractious fairy tale world of Kristine Grayson, where the bumpy road to happily ever after is paved with surprises…..
Utterly Charming is a modern rendition of the Sleeping Beauty fairytale. Nora Barr is a struggling lawyer, determined to make it on her own. She has set up her own practice in a respectable building in downtown Portland, OR. She has hired Ruthie as her secretary – a great choice as time will prove. Right now, Nora is drowning in debt and in danger of having to shut down her practice. She runs into Aethelstan Blackstone, a mysterious, handsome charmer of a man, and his short sidekick, Sancho Panza who try to hire her. It’s a puzzling encounter with weird happenings – such as a pen appearing in Aethelstan’s hand at one point. The hiring doesn’t happen as they are trying to hire her on behalf of someone else and Nora says no. Two weeks later, Nora gets a panicked call from Sancho telling her that Aethelstan has been arrested and needs her help – apparently he has killed someone and destroyed a neighbourhood with fireballs. On her way to the police station, Nora drives through the neighbourhood to see that it is actually destroyed and although there is a body lying on the ground, the woman doesn’t really look dead. Aethelstan is being loaded into a cop car and she when she starts to follow the cop car downtown, she spots Sancho hiding in a microbus. He tells her he will meet her at her office. Completely puzzled, she sends her friend Max, from law school to the police department to deal with the situation there and heads to her office to see Sancho. As I read over what I’ve written, it sounds a bit unbelievable! I think that is the key to this whole story. It’s sort of unbelievable but since we have all grown up listening to and believing in fairytales, it strikes a chord. It’s a fairytale in modern times, complete with an evil stepmother who turns people into toads, and has fire ball fights with other characters. Sancho Panza is a midget. Even the Muses are included in this story. When Sleeping Beauty wakes up after 1000 years of sleep and has to face modern society, more fun begins. This book has characters that are out of this world, colorful and totally believable, despite the fact that they belong in a fairytale! The action moves along quickly from the first weird encounter between Aethelstan and Nora to the twists and turns at the end. I loved this book and would highly recommend it to anyone who likes a bit of fairytale paranormal with their romance! To add a bit more information – the covers seen below are two more books by Kristine Grayson. 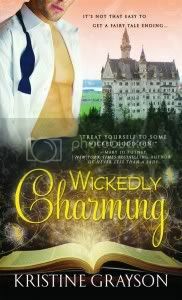 Wickedly Charming is now available and Thoroughly Kissed will be available next June. Any person with discerning taste can tell that these will be excellent books *grins* Drop by Kristine Grayson’s site to learn more about them. Now for the giveaway! Follow me on Twitter and you get extra points; follow me on Facebook and you get extra points. Canadian and US mailing addresses only please because of the cost of postage! I love romances based on Fairytales! Sleeping Beauty is often overlooked and this seems like a fun take on it. I agree – everything seems to be Cinderella! This is a great story. Thanks for stopping by! I love ‘adult’ fairy tales – Oh who am I kidding – I love all fairy tales. Thanks for the giveaway! Fairytales are great – maybe that’s why I read so much Regency – for my inner Cinderella…..
‘Delightful’ is good – I bet I’d love these books! Thanks for entering! This book is different than anything I’ve read in a while. I’m suggesting it to everyone! I am loving the idea of these books. Remaking all the old fairy tales. I have the first on my kindle but have not had a chance to read it yet. I hear you! I have an almost invisible TBR pile on my nook. 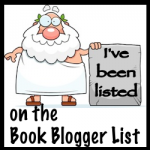 positives – my husband doesn’t know how many books are on there. negatives – difficult to keep track of what I’ve read and what I need to read. I do better with actual piles of books!